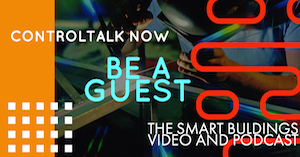 Episode 275: ControlTalk NOW — Smart Buildings Videocast and PodCast for week ending July 22, 2018 features interviews with Therese Sullivan, Director of Channel Marketing at Tridium, and Alper Uzmezler, Managing Partner, BASSG and Founder of Anka Labs. Contemporary Controls introduces their new EIGR Routers; Lynxspring offers Analytics at the edge; Acuity’s Lucid delivers a data and analytic platform; Why Project SandStar could change the Smart Building Controls world forever; and a message to contractors from Honeywell’s General Manager, Mike Garceau. Contemporary Controls News: New Product — EIGR Routers Add OpenVPN Server Functionality. The EIPR-V routers have supported the OpenVPN client functionality to provide secure remote access using the RemoteVPN service. The newly released EIGR routers support this functionality but also can be configured to as an OpenVPN server. Setting up an OpenVPN server on your own is not a trivial task. 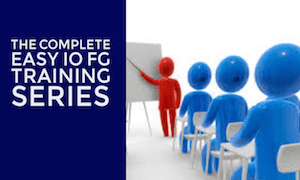 It involves setting up a root certificate authority and generating certificates and keys for the OpenVPN server and for each client device that intends to connect to this server. 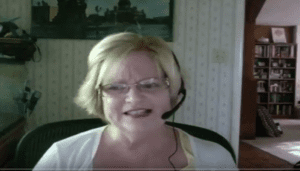 ControlTalk NOW interview with Therese Sullivan, who in her new role as Tridium’s Director of Channel Marketing, tells us how she still monitors the technology quakes emanating from the Silicon Valley, while taking a deeper focus on the Voice of the Customer. Therese also brings us up-to-speed on tagging, mobile first, bulk deploy, and the increased efficiency between the supervisors and controllers — features of Tridium’s Niagara 4.6 impending release. Lynxspring Edge-to-Enterprise Solution Now Offers Analytics at the Edge for the Building Environment and Operational Systems. Lynxspring, Inc., a premier developer and provider of open, IP-control solutions for building automation, energy management, and edge-to-enterprise integration, announced today the full release of their Onyxx® SkySpark® Edge Analytics solution which embeds SkyFoundry’s SkySpark® Everywhere™ Analytics software in the Lynxspring Onyxx® Hardware platform. ControlTrends’ Ken Smyers gets the 411 on Acuity’s Acquisition of Lucid at Realcomm20/IBcon. 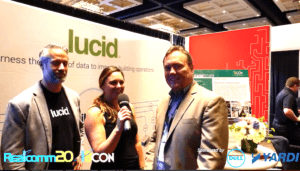 Ken Smyers digs in at RealComm|IBcon and talks with the team at Lucid about how their products will add to the great product portfolio Acuity Brands already has like DG Logik and Distech. Lucid provides a data and analytics platform to make data-driven decisions to improve building efficiency and drive energy conservation and savings. Its SaaS-based BuildingOS platform enables owners, operators, and occupants to gain powerful insights into the operations of their buildings, providing the ability to make them more efficient and improve the performance of the people and businesses utilizing these strategic assets. ControlTalk NOW second interview is with Alper Uzmezler, Managing Partner, BASSG and Founder of Anka Labs. 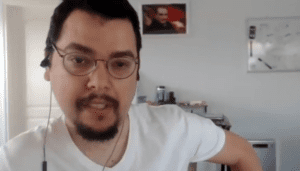 Alper tells us about Sandstar, an initiative that combines two open industry standards, Sedona and Project Haystack, which replaces hardware dependent code with self-describing haystack-based tagging. Alper follows with a demonstration and explains that the key to AI-infused PID loops is clean data. 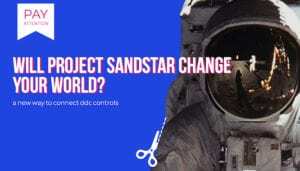 The next step is to develop the Sandstar ecosystem. Community participation is welcome! Why Project SandStar Could Change The Smart Building Controls World Forever. 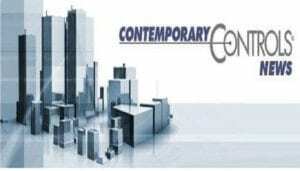 If ControlTrends’ Young Gun, Alper Üzmezler, managing partner at BASSG, is correct with his theory that the way DDC software is done today is redundant — costly and inefficient, and if he can deliver the promises of Project Sandstar, then the smart building controls world as we know it — is getting ready to change forever. What Sandstar allows — is for independent Direct Digital Controls to merge Sedona with Haystack — into a seamless whole, which according to Alper, means you would eliminate the need for each individual manufacturer’s software. 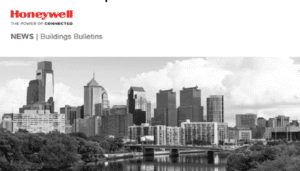 Honeywell Building Controls 2018 Contractor Guide Book. 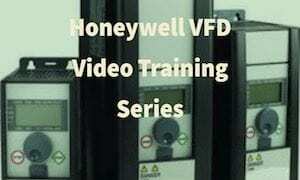 A message from Mike Garceau, General Manager – Honeywell Brand: Dear Honeywell Contractor, Honeywell has a long tradition of working with independent contractors and integrators to provide complete, successful building control solutions. And thanks to your hard work and partnership, we feel our channel-to-market approach is the strongest it’s ever been. That’s why we’re committed to investing in the tools and resources and introducing more partner benefits — such as Contractor Pro Rewards — that help make you a success each and every day. Bulk Deploy in 4.6 is great but we NEED a bulk edit to revise programs and have live templates. Thats where time can be saved. Bulk deploy I don’t see it saving a ton of time since you still need to go and commission the equipment anyways. But editing 200 programs for the exact same change is brutal.